One of my roles working for an MP is to look at how we better support campaigns and causes. I’ve been amazed at how many, our parliamentarians are asked to support. It seems most days of the week there is a national campaign for something. Most are extremely worthy causes. This week it’s FASD week. F.A.S.D. stands for Foetal Alcohol Spectrum Disorders which is a series of preventable birth defects caused by drinking in pregnancy. When alcohol is drank in pregnancy it disrupts development and leaves permanent damage to the infant that will last their whole lifetime. 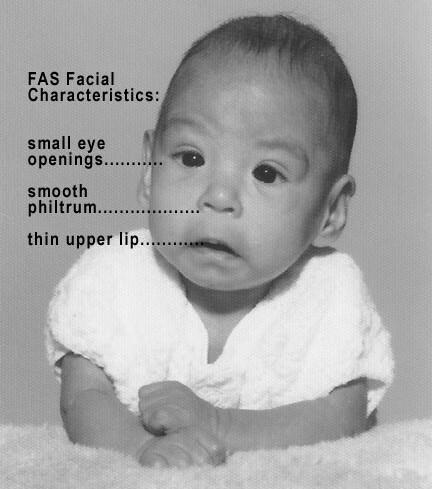 It’s estimated that at least 1% of the children born in the UK may have FASD. Every day a baby is born in the North East with this preventable disability and something must be done to challenge that. We must get people talking and understanding more about it. When I ran A Way Out, the women and young people’s charity in Stockton, we were trained how to spot signs of FASD. An individual with this disability may have some or all of a spectrum of mental, physical and behavioural challenges which can vary from mild to severe. We would work with women to ask them if they identified any of the signs either in themselves or with their children and babies. There were more than a few occasions when signs for FASD were apparent. Common problems include hearing and vision impairments, sleep problems, heart defects, growth deficits, poor immune system, speech and language delays, impulsivity, learning difficulties, memory problems, hyperactivity and emotional & behavioural problems. What many people don’t know about FASD is, it can take even a small amount of alcohol or one big binge to cause damage to the unborn child. Some women we worked with who had children born with FASD hadn’t known they were pregnant and when they found out and stopped drinking, devastatingly the damage had already been done. There is a lot of shame attached to FASD. Mothers who discover they have children who have suspected FASD are reluctant to come forward for support. This needs to change. It’s not a disability to tackle alone. FASD Network UK was set up by a Teesside woman, Maria Catterick to provide support to parents, caregivers and families affected by FASD. The support of the Network is so important. It takes away stigma and enables families and caregivers to come together for mutual support. Bringing up a child with mental or physical challenges is hard, particularly when there is limited understanding of that disability. Children with FASD need special support. It’s important therefore that parents and caregivers receive specialist advice in how best to care for and parent these children and give them the support they need to thrive. They also need to learn strategies of how to take care of themselves and connect with a community and others who understand FASD. If you think you may know someone affected by FASD or want to know more, please check out the FASD Network UK website http://www.fasdnetwork.org. To be informed is to be armed.